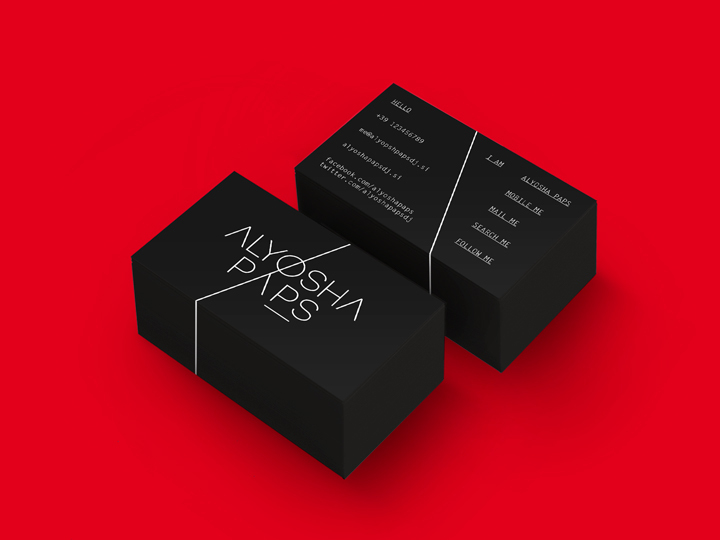 Logotype and applications for minimal tech-house disc jockey Alyosha Paps. The aim was to create an elegant but at the same time trendy identity, usable as a recognizable mark for clubbing events and performing sets. I structured the brand all around an iconically stylized figure of a dj-in-the-mix-pose, melting it with the typography/naming. An oblique posture (body), the head with the headphones, the hand whipping on the turntable: these are — designed with tiny and simple lines — the elements that compose my own personal conceptual vision of the musical entertainer. 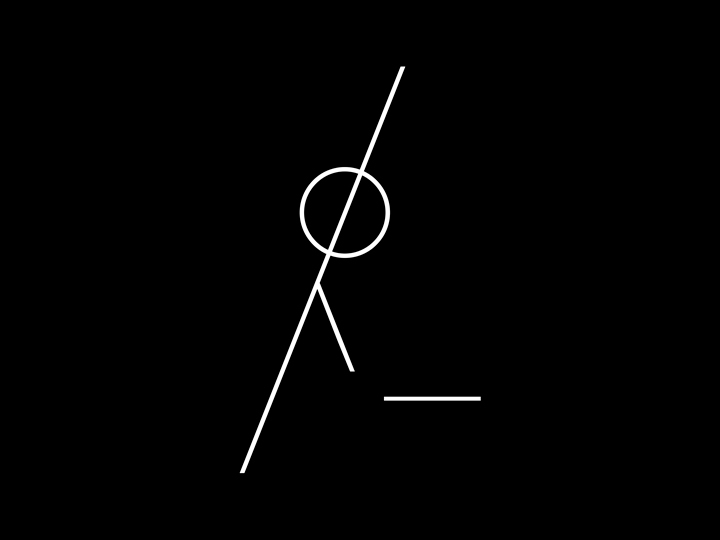 This is my brand identity proposal for Alyosha Paps. The proposal was rejected. Whereby the work presented above has no commercial intention and no kind of profit was ever derived from it. All the photographies and portraits used (here is the on-the-web-found source as credit) were managed with the sole purpose of emphasize the presentation of the brand.